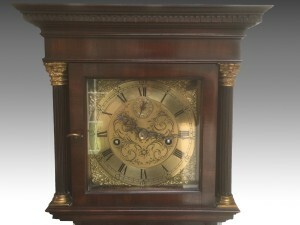 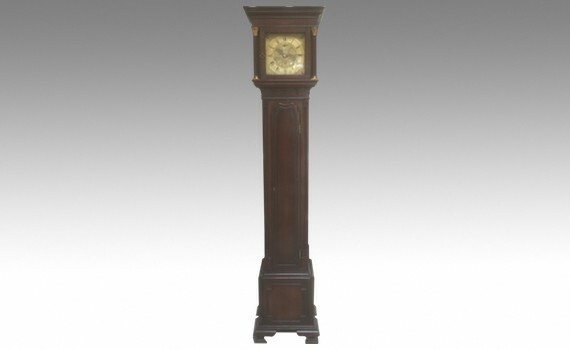 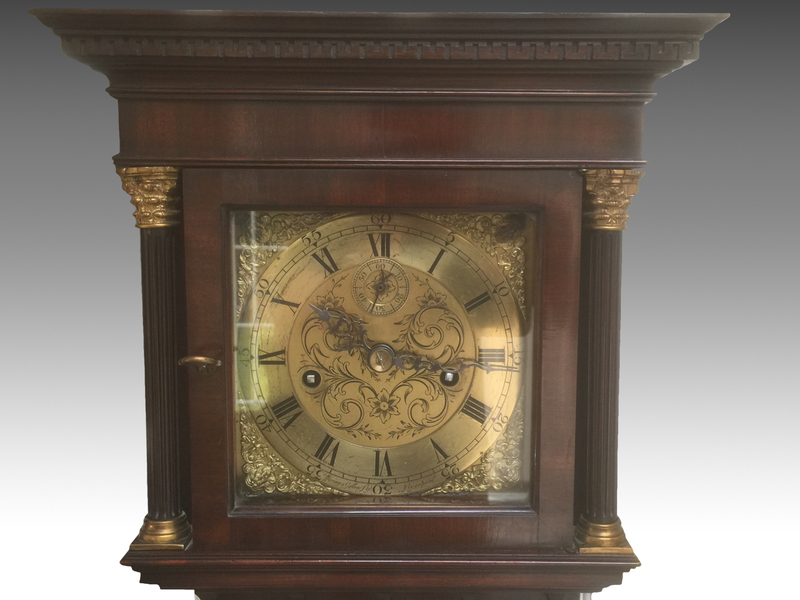 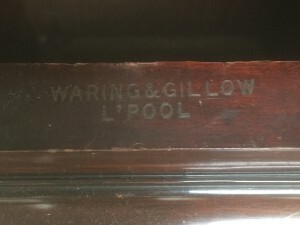 A small mahogany longcase clock by Waring & Gillow Ltd, Liverpool. 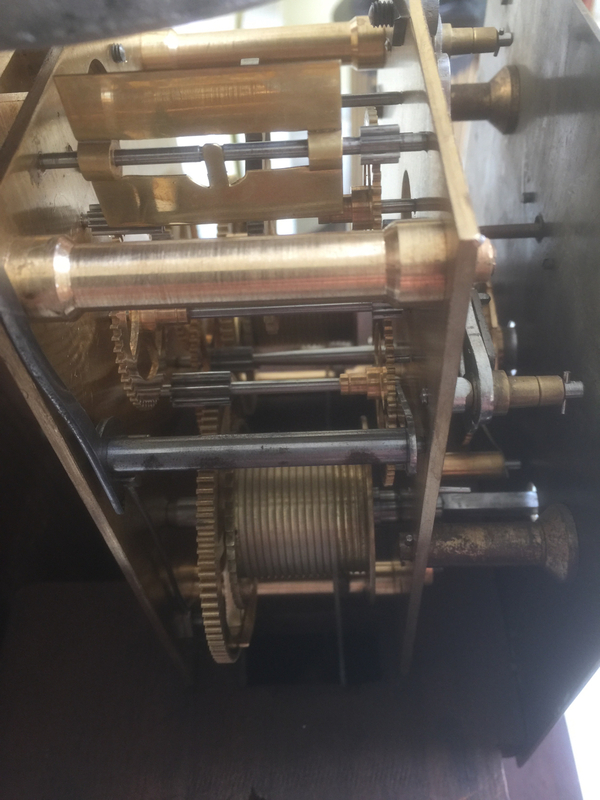 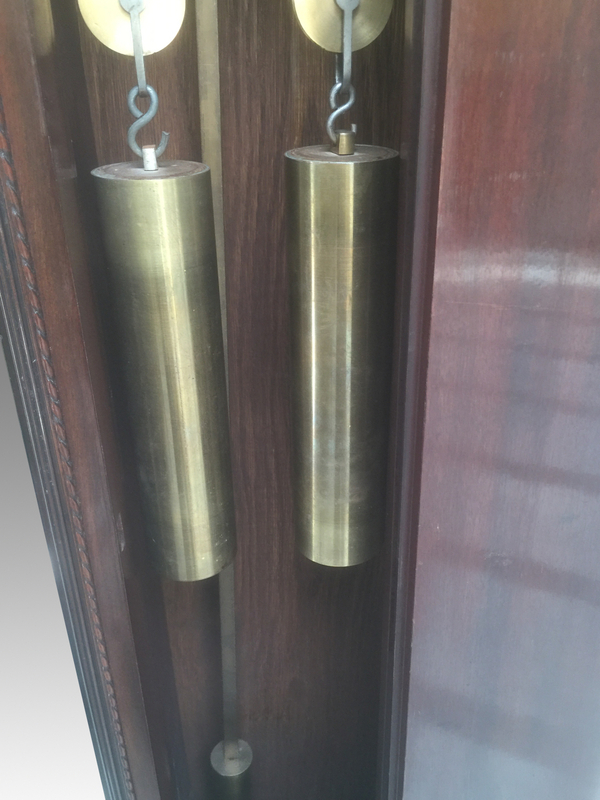 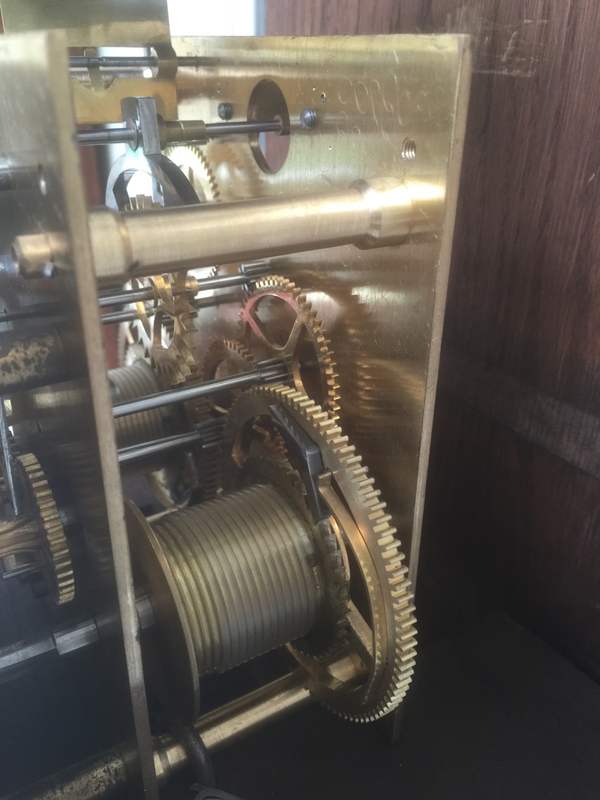 The weight driven eight day movement striking the hours on a bell, the engraved brass dial with roman numerals & subsidiary seconds dial with cast spandrels at the corners. 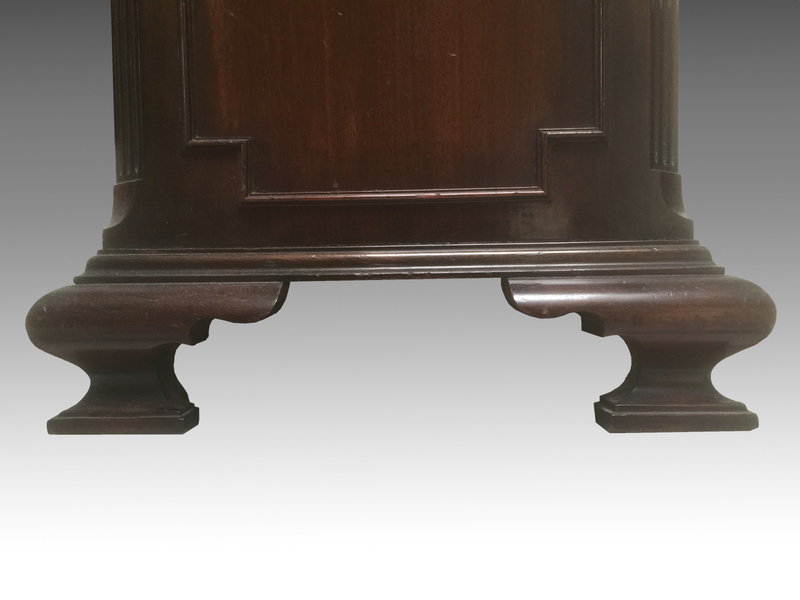 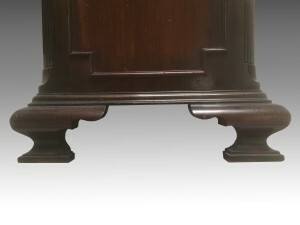 The mahogany case with square hood and dentil moulded cornice above a glazed door flanked by reeded columns with gilt bronze capitals. 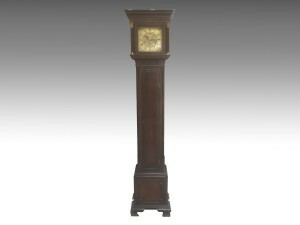 The main case with shaped rectangular door flanked by carved ropes & reeded quadrant columns on a stepped plinth with ogee bracket feet. 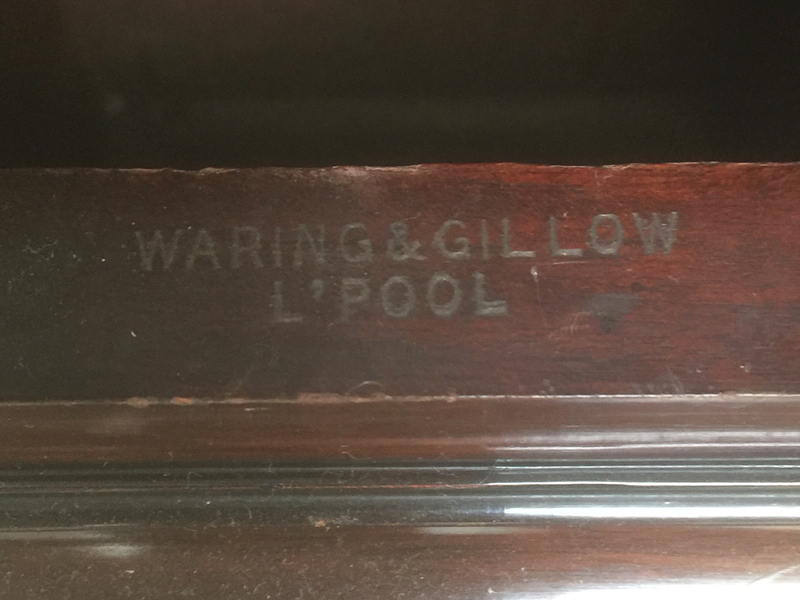 The case stamped ‘Waring & Gillow L’Pool’ & with label to reverse.